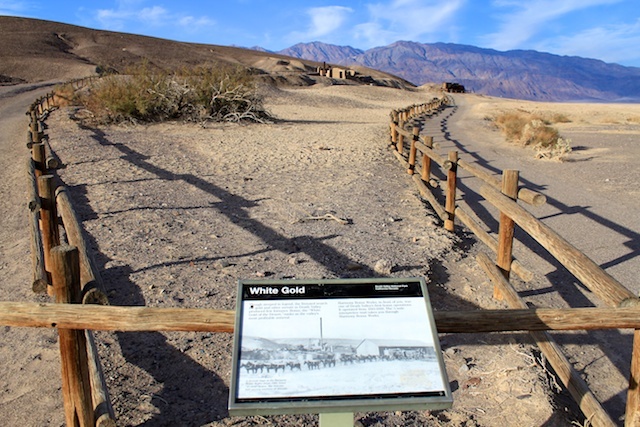 Harmony Borax Works is a short stop in Death Valley, near Furnace Creek, that is the home of a lot of the mining history of the area. 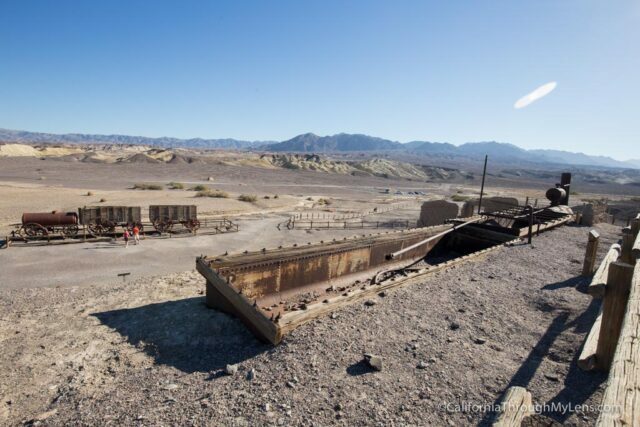 In about fifteen minutes you can walk around and see the remains of a refinery and a twenty mule team wagon, as well as a lot of history on the area itself. It is worth checking out, read one for more information. 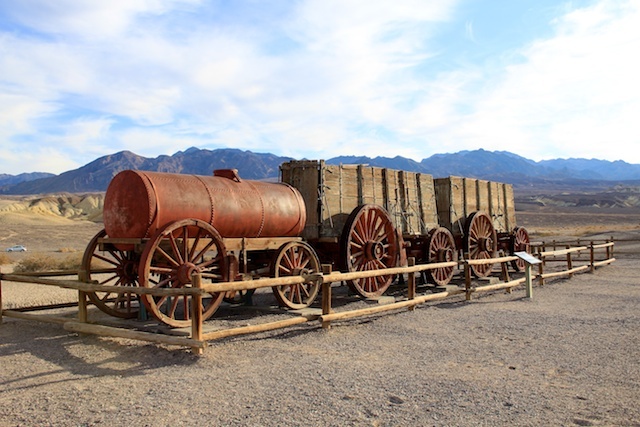 The above picture shows the twenty mule team in action, and the below picture shows an actual cart that was used in mining and transferring the borax from Death Valley to the Mojave by the twenty mule team. 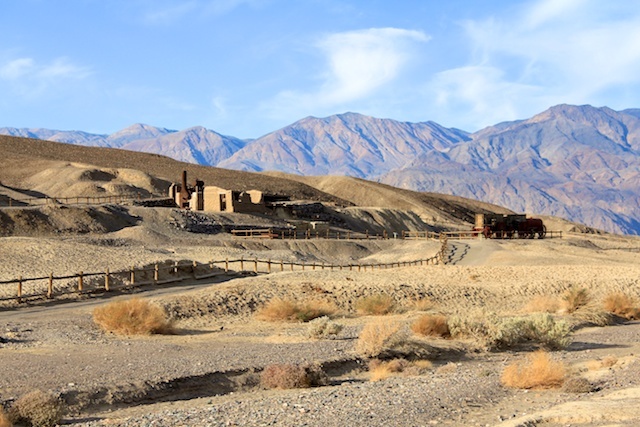 Harmony Borax works is hard to miss as you head out from Furnace Creek heading North. 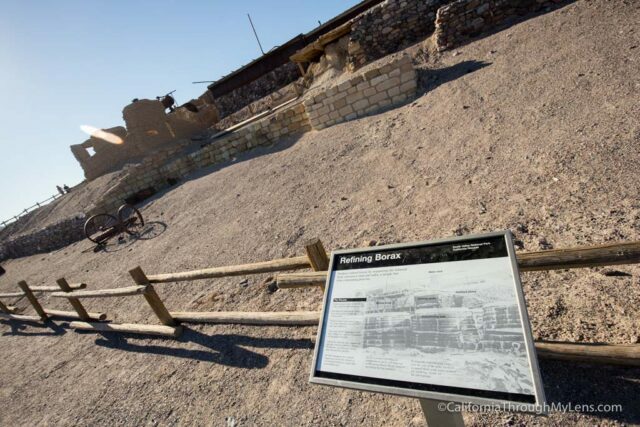 After the campground and visitors center, you will see a sign for Harmony Borax Works and will head to the left. There is a large dirt parking lot here. As you walk up the short path, you will pass the aforementioned twenty mule wagon first. From there the trail bends around, and you head uphill to the refinery. There are many plaques along the way that tell you about the operation here. Some of the old photos were surprising to me as this place was pretty big back in the day. They even referred to borax as white gold, since it became such an important mineral during the time period. 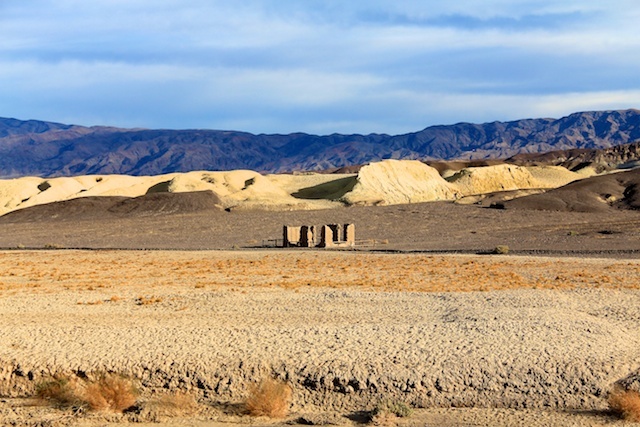 Looking out from the trail, you can see more ruins dotting the Death Valley landscape. I didn’t go and see them myself but it is pretty crazy to see it all preserved like this. I enjoyed checking out this area and would recommend a quick stop here. It is located next to the campgrounds and the visitor center so it shouldn’t take much time out of your trip. 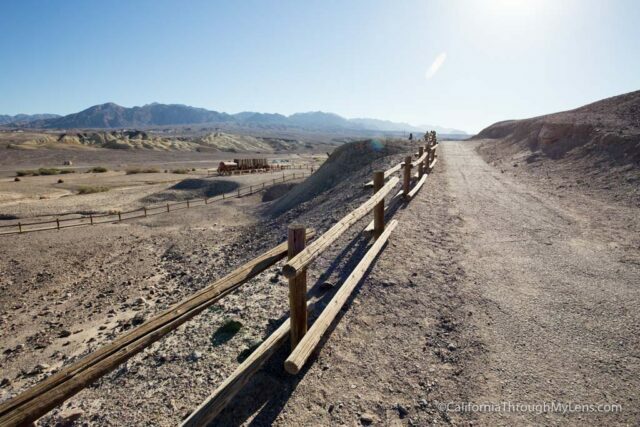 Get directions below if you want to go check it out and watch this video I made on how to spend 24 hours in Death Valley.